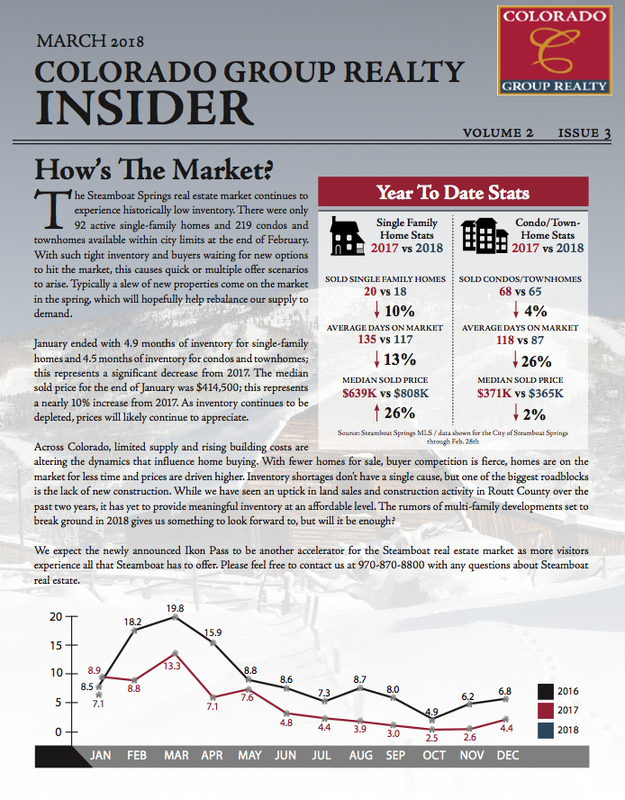 The Steamboat Springs real estate market continues to experience historically low inventory. There were only 92 active single-family homes and 219 condos and townhomes available within city limits at the end of February. With such tight inventory and buyers waiting for new options to hit the market, this causes quick or multiple offer scenarios to arise. Typically a slew of new properties come on the market in the spring, which will hopefully help rebalance our supply to demand.